One of the greatest commands that God has given us is to love one another. But what does this look like in our lives? This is the question that this lesson attempts to answer. The Bible gives us lots of commandments, such as to tell others about Jesus and give to the poor. Of all of these commands the greatest is to love one another. Everything we do must be done in love. 1 Corinthians 13:1-3 teaches us that if we act out of obligation and not love, then our actions are pointless. 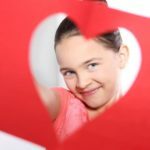 This lesson attempts to show children that God loves them and because He loves them He wants them to act in love towards others. Learning Aim: We love others because God loves us. Introduction: Welcome each child as they arrive to Sunday School. Have music playing and begin the lesson by singing a praise song or two of your choice. Biblical Evidence: Begin by showing the class a pair of cymbals. Explain that cymbals are an instrument that is used by a band. Tell the class that the cymbals by themselves are not a very beautiful instrument to play. The sound that they make on their own doesn’t sound like music at all. But when we mix the sound of the cymbal with other instruments then we are met with a beautiful sound. Say, The Bible teaches us that we are to love one another. Read John 13:34. This is a commandment. God wants us to love one another. Ask, How can we love one another? Accept any reasonable response. Examples could be telling others about Jesus, helping our friends and family members, obeying our parents, helping the poor. Ask, Since we are Christians, what makes doing these things different for us, from how people who are not Christians yet would do these things. They should answer that we act out of love. Now read 1 Corinthians 13:1-3. Say, If we love people, then we will show them who Jesus is. If we know someone who needs food and we give it to them that is great. But if we love them then we will also tell them about how Jesus died on the cross for them. If we don’t love others, than we are like the cymbal playing all by itself. When we love others our cymbal playing mixes with love and we can make beautiful music. Remember what John 13:34 taught us. We must love first because God loved us and then help others because we love them and God loves them. Make Cymbals: To reinforce the lesson and help the class remember to act in love have each child create their own cymbals. Each child will need two plastic plates, glue, two strips of construction paper, and aluminum foil. The plates will be the two cymbals. Glue or tape the two strips of paper to the back of the plates to create a handle on the back of each cymbal. Cover the plates with glue then aluminum foil. Use a sharpie to write the memory verse, John 13:34 on the cymbal. Make Music: If you have younger elementary children, turn on music and allow the class to pretend play their cymbals along with the music. Bible Verse Cake Walk: Cut paper hearts out of construction paper. Write one word of the Bible verse on each piece paper. Use these hearts to have a cake walk. Begin by saying the verse out loud as a class. Play music and when the music stops turn over one heart so that you cannot see the word that has been written on it. After each round repeat the verse. Play again and repeat until all the cards are turned over. By the time the game is over the whole class will likely have the verse memorized. Soaring with Love: Have each child write one way that they can share God’s love with others on a piece of paper. They will then fold their piece of paper into a paper airplane. Cut a heart shaped hole out of a piece of cardboard. Decorate the heart if you wish. Each child will take a turn saying what they can do to share God’s love then attempted to fly their airplane through the heart shaped hole. You can make this as easy or as difficult as you would like. You could also make this a paper airplane flying contest. Make sure you emphasize that everything we do must be done in love. Conclusion: Close the lesson by reminding the class of the words of John 13:34. Encourage them to think of a way that they can share God’s love with other’s this week. Pray together, thanking God for loving us unconditionally and asking Him to help your students love others. Tony Kummer (Editor) reviewed & updated this page on : February 14, 2019 at 7:27 pm. All our content is peer reviewed by our readers, simply leave a comment on any post suggest an update.